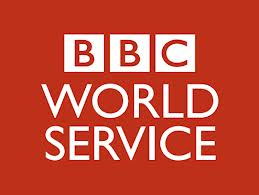 Following last weekend's earthquake in Nepal, the BBC World Service has commenced broadcasting additional programming on shortwave in both Nepalese and in English to listeners in the affected area. The BBC says that its Media Action charity is working with the Nepali Service on BBC World Service (radio and online) and local partner radio stations to broadcast ‘Lifeline’ programming. The availability of World Service English on short wave to Northern India and Nepal has been extended with the service now starting one hour earlier than normal at 23.00 GMT. Additional frequencies for World Service in English (to S Asia) from 23:00 GMT to 24:00GMT5895 kHz (49 metre band)9540 kHz (31 metre band) From 00:00GMT the broadcasts continue as normal on 12,095kHz, 9,410kHz and 5970kHz. Meanwhile, the BBC is broadcasting DEC Emergency Appeals across its outlets today as UK charities aim to raise funds for the relief effort.